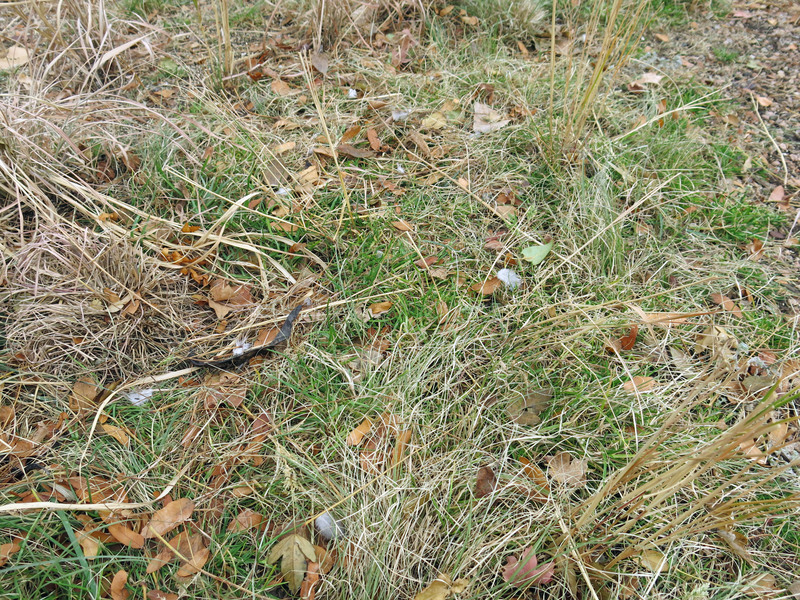 This is the result of my attempt to grow native grasses in place of a regular lawn. It was supposed to be a sward of lovely grasses swaying in the breeze, calming the mind, attracting wildlife, needing little or no supplemental irrigation, no fertilizing, no mowing if I felt like not mowing, la de la. Instead, it’s 99 percent annual bluegrass, Poa annua (all the green stuff in the pictures above), a loathsome invention if ever there was one. Second only to smooth brome. So rather than wandering through the waving stalks of grass like Walt Whitman on a sunny day, I get to micromanage the thing by digging up every little tiny piece of annual bluegrass and looking at mud for the rest of the season. This has turned out to be yet another project that did not work out the way it was supposed to. I probably should have done nothing and waited for something to happen. 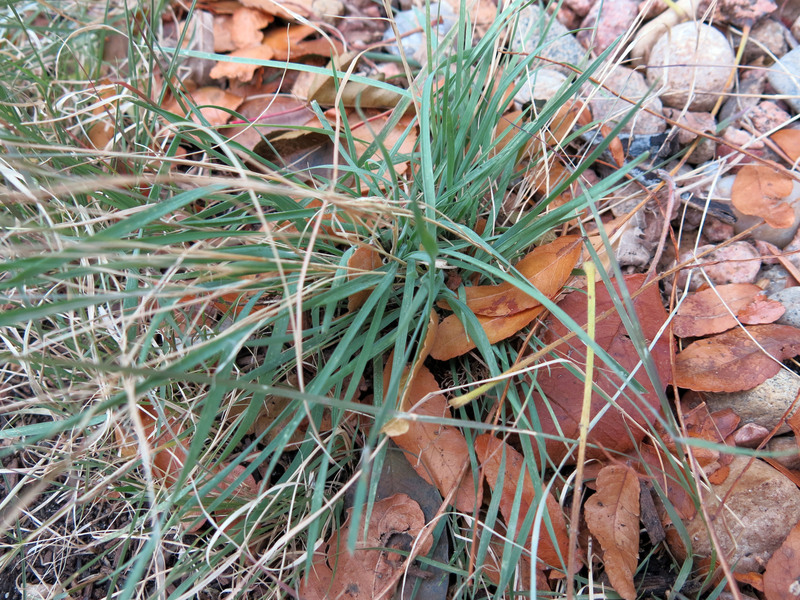 And, at the same time, I have to be extremely careful about not digging out the grasses that I do want there, like this bluebunch wheatgrass (Pseudoregneria spicata). 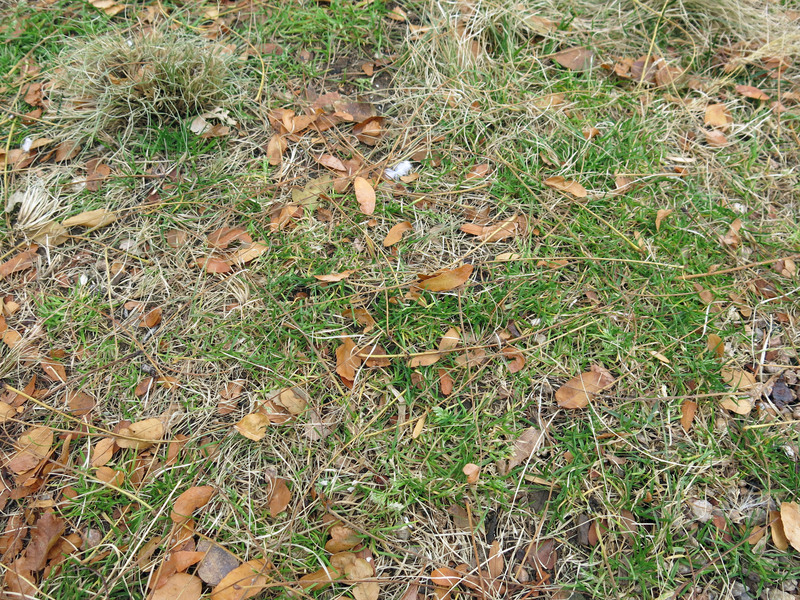 The native lawn, or as I prefer to call it, the grassy area, was supposed to look like this. And it’s not going to, this year, because I started digging out the little tiny clumps of annual bluegrass, thought “Why am I doing this instead of taking a nap?” and stopped. 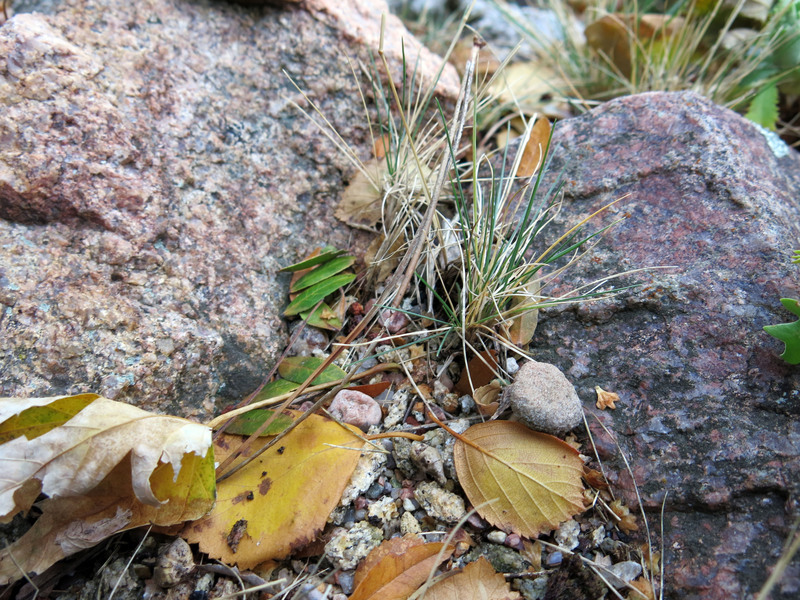 Maybe next spring would be a better time to pull out tiny pieces of grass with a pair of tweezers. 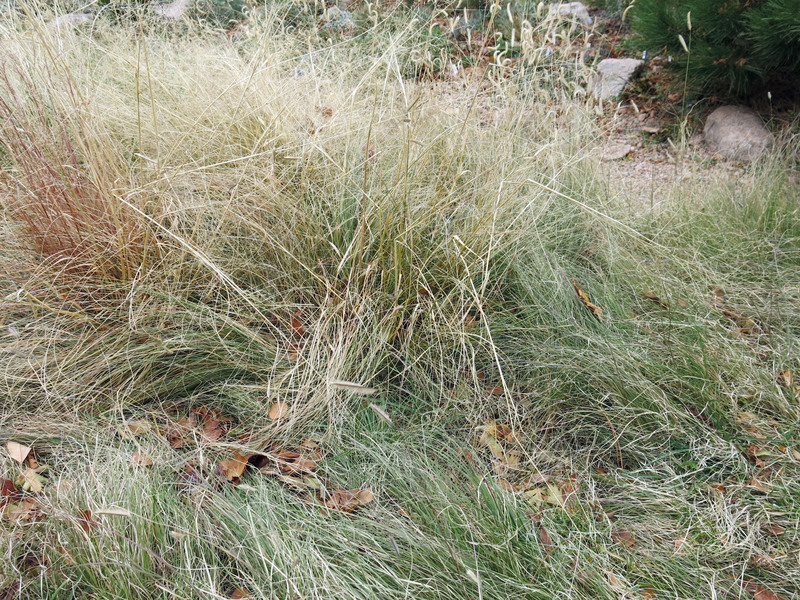 Here, incidentally, are some grasses I do want. They are extremely small, growing in troughs. Excellent choices if your gardening tools include a magnifying glass. 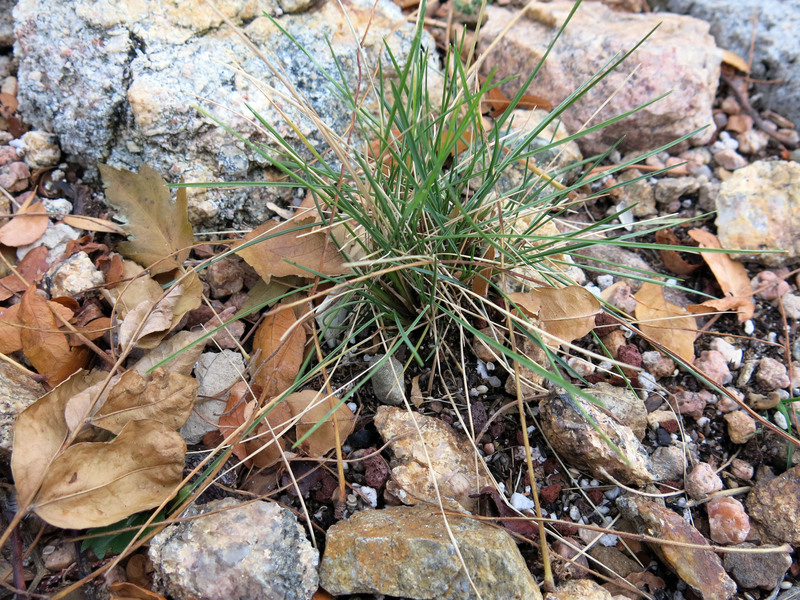 This entry was posted in Uncategorized and tagged Festuca brachyphylla, Poa abbreviata, Poa annua, Pseudoregneria spicata. Bookmark the permalink. On a whim, I put a clump of Carex eburnea in a trough. It’s likely to become a huge mistake. I had a sedge appear here miraculously; at first I thought it was a kniphofia but then it bloomed. It started to spread, and spread, and spread, so I pulled it out. Now I wish I hadn’t.